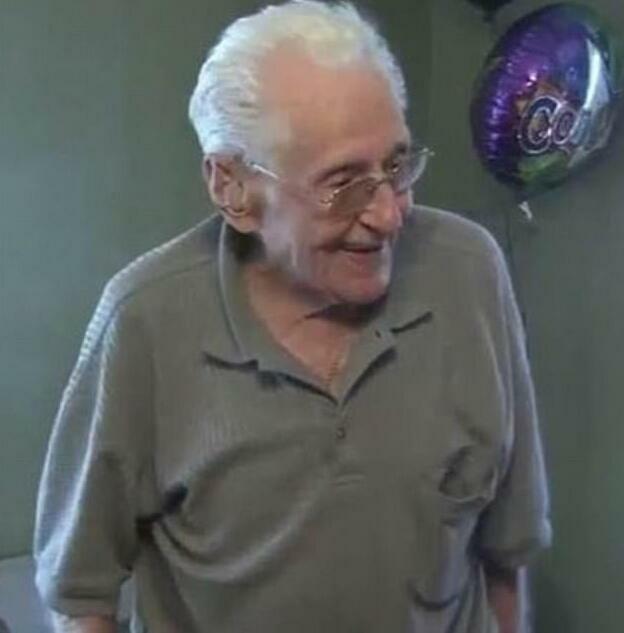 It's been his dream for as long as he could remember but Charles Leuzzi, finally received his high school diploma - at 97 years old. The veteran graduate from Pennsylvania got his honorary diploma from the School District of Philadelphia on Sunday. 'This is good. I finally done it. I had to wait a long time for it, but I got it,' Leuzzi told 6 ABC. 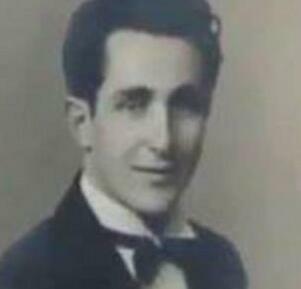 Leuzzi - who plays golf everyday - should have graduated in 1936 but had to leave high school in his junior year at the height of the Great Depression to work because his father was only earning $12 a week. He was later drafted to fight in the Second World War. His heroism earned him two Purple Hearts - awarded to those injured by the enemy during war - and four Bronze Star medals. 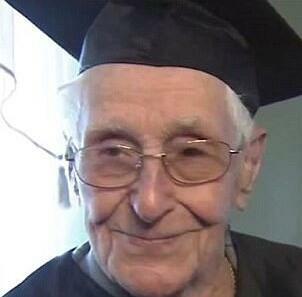 His children and grandchildren organized a surprise party to award him with his diploma. When asked about going to college, Leuzzi says he might as well.